The decision taken by the UK electorate in June 2016 to leave the EU had profound implications for our members. As a result PFMA is engaging in discussions at all levels to inform Government of issues and potential opportunities that will affect our members’ interests and business operations. For our latest comments to the press, please scroll to the bottom of the page. Under the banner ‘A Brave New World: Opportunities and Priorities’, PFMA published its Brexit Manifesto in March 2017. Our key policy areas are below - for more detail, please visit the manifesto. We have some of the strongest feed safety and animal welfare standards in the world; these must be maintained and not undermined by imports with lower standards. Vets play a vital role in maintaining these standards. 85% of official state vets, and 30% of all vets, come from the EU. Concerns about the veterinary workforce need to be addressed. We use a significant amount of animal by-products, surplus to the human food chain. This gives value to farmers who would otherwise have to dispose of that high quality material. 80% of our raw materials are from the UK. We must continue to support domestic farmers to ensure a reliable supply of safe, high quality and high welfare raw materials. We want to keep legislation aligned with EU to allow continued trade with Europe without unnecessary and costly barriers to trade. 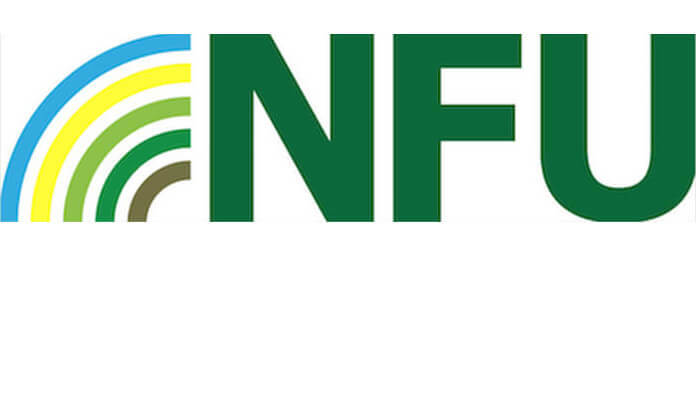 100% of modern animal feed and welfare law currently originates from the EU. We do not want any reduction of these high standards which help to keep our pets and products safe. 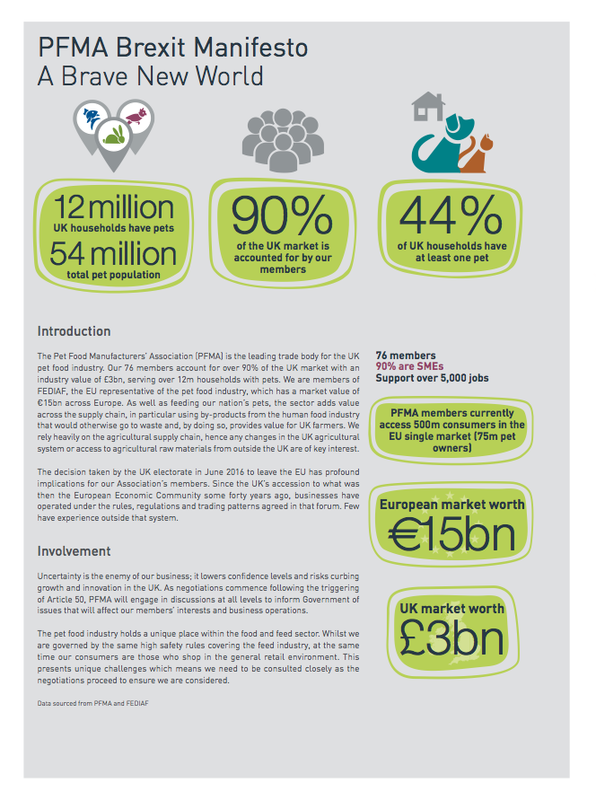 The pet food industry employs a workforce of 100,000 people across the EU that benefits the UK greatly. PFMA provides member support and advice on Brexit matters in our ‘Members only’ area. For more information about membership please contact Michael Bellingham at michael@pfma.org.uk or 0207 379 9009. Michael Bellingham, PFMA CEO talks about the association’s Brexit priorities and how this has shaped PFMA’s activity.